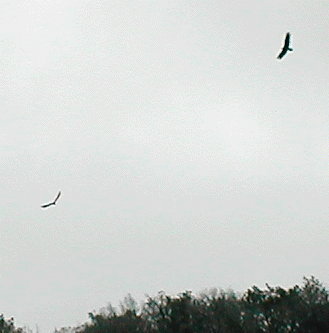 Yes, we saw many eagles. Pictures just don't do them justice. You have to be there and watch them soar the thermals around the canyon walls. 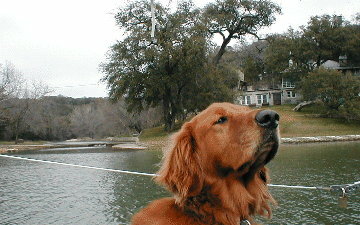 The only house on the banks of upper Buchanan, and Barkley. This beautiful house is a short distance below Post Oak Falls on the east bank of the river on a cattle ranch. 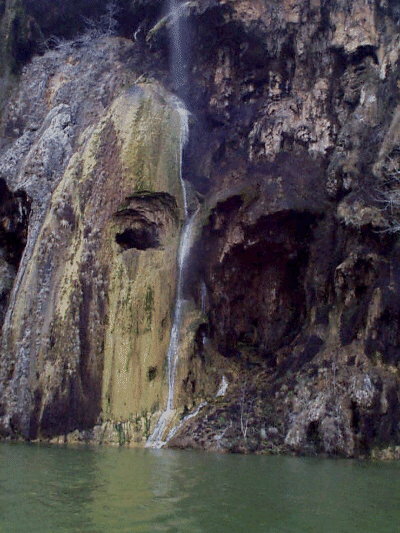 Post Oak Falls and Bills Cape Dory 28. 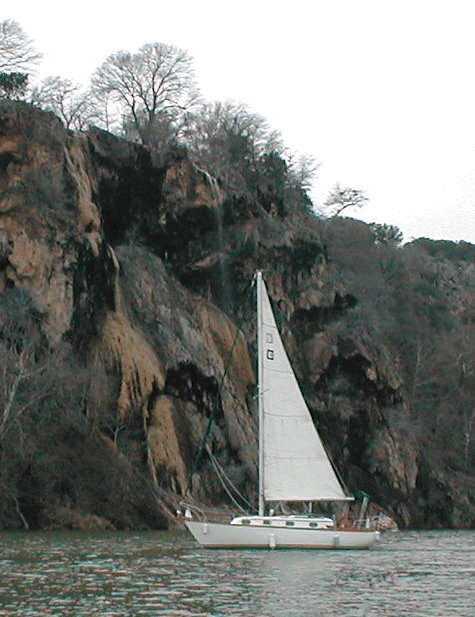 Normally you wouldn't dream of sailing this boat to Post Oak Falls with it's 4 foot draft fixed keel, but with Lake Buchanan at 1019 and a depth gauge Bill make it with no problems. Post Oak Falls was running well, Max tells me they are 300 feet high. The river has boulders and gets shallow above the falls, so we turned back down river about 3:30 and motored back to Alexanders Boat Dock. 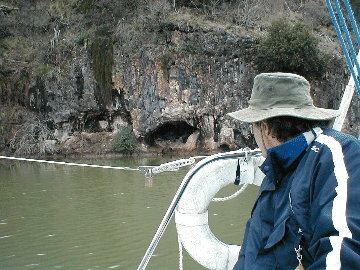 Many small caves line the cliffs along the river, Bend Park gives tours to a larger one. We met at Big Johns Steakhouse for replenishment and slept well at home.